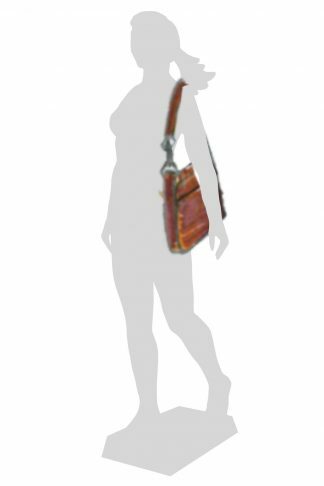 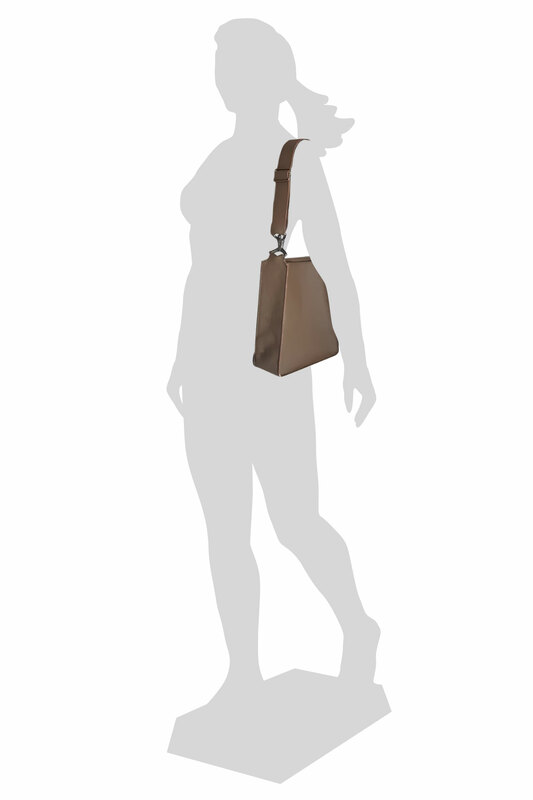 The shopper bag is a bag hanging over the shoulder. 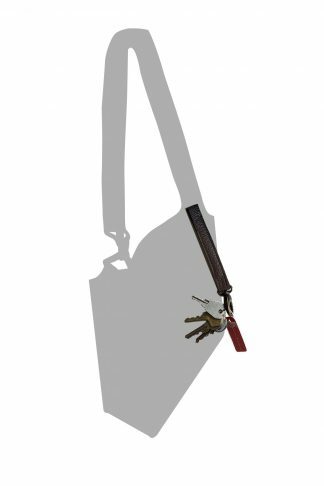 All your belongings will fit. 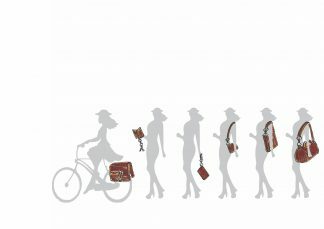 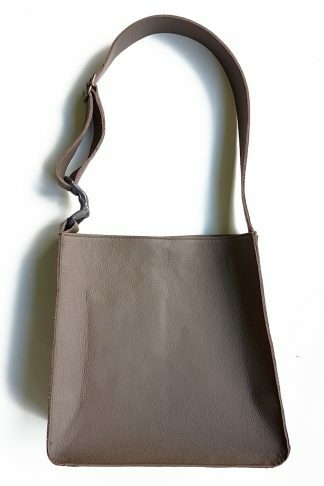 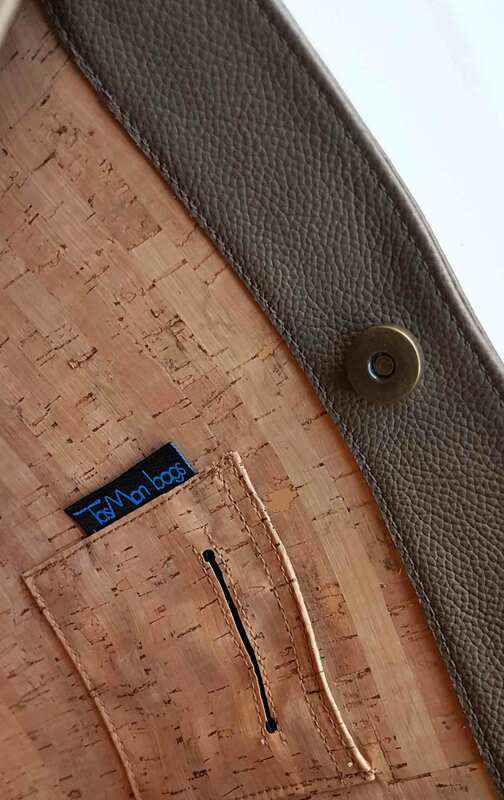 The outside of the bag is made out of leather and the inside of the back is made out of Cork. 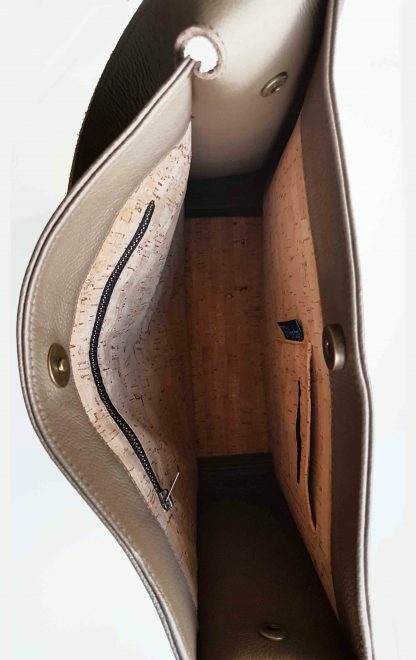 The inside of the back has a zipper compartment and a small sac for cards and small thing. 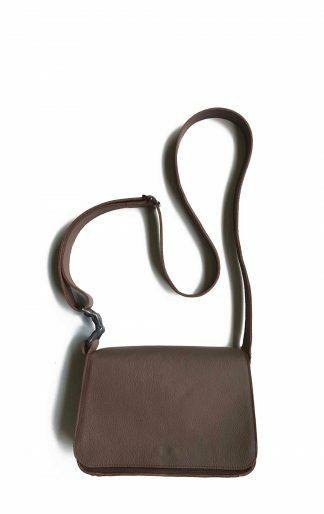 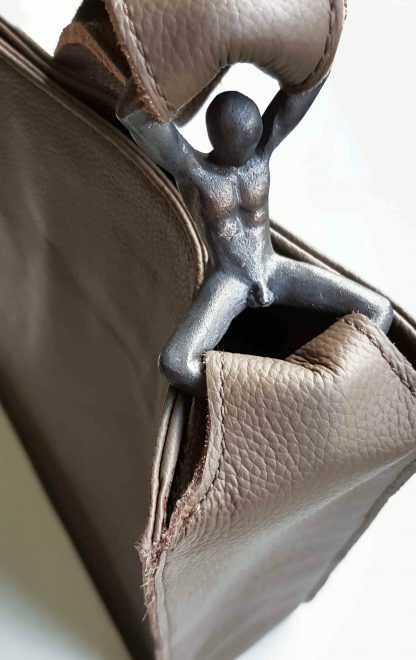 The Tasman hanging on every bag is designed by Astrid Stoltenborg and casted out of bronze. 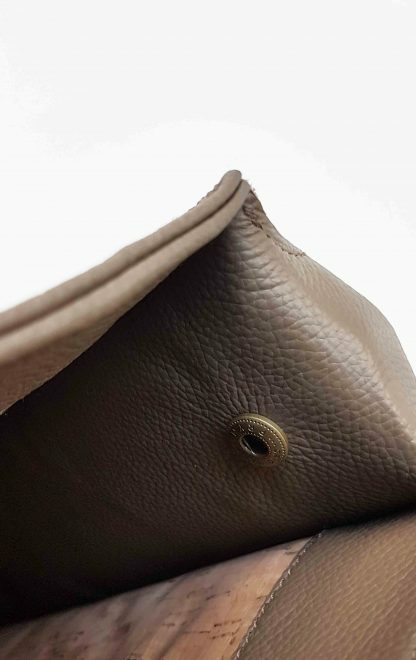 The tasman literally holds the bag together.